The Ewing Green Team announces the latest entry in its Environmental Insights Series, environmental presentations designed to engage area residents in a public conversation about critical environmental issues and to spark new ideas concerning sustainability. Join us on Wednesday, February 24th at 6:30 pm for our program, What it means to be an Environmentalist (or Everything You Wanted to Know about Sustainability but Were Afraid to Ask) with a presentation and discussion led by Joseph-Mark Mirabella, Ewing Green Team and Ewing Environmental Commission member, former Environmental Science teacher and NJDEP enforcement supervisor. Have you ever wondered what environmental protection and sustainability really means? Is there a difference between the two? Come explore and discuss these fascinating issues starting with a history of environmental activism going back to Teddy Roosevelt, the first Earth Day, to the present, and where we are going tomorrow. So what does it mean to be an environmentalist? The Merriam Webster online dictionary defines an environmentalist as a person who works to protect the natural world from pollution and other threats. If you recycle religiously, are you an environmentalist? If you compost regularly, are you an environmentalist? What if you have installed solar panels on your home but put your grass clippings out at the curb, are you an environmentalist? Do you consider yourself to be an environmentalist? Come tell us what you think it means and what is important to you. We want to know. Joseph-Mark Mirabella is currently the Central Regional Supervisor for the NJDEP Hazardous Waste Enforcement program. 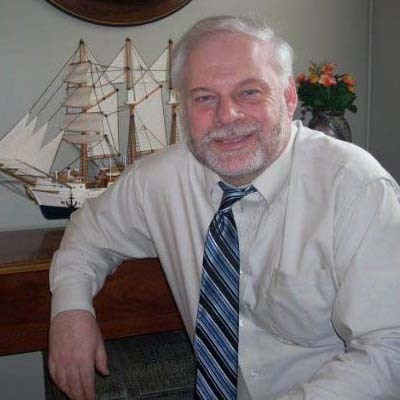 He is a former Environmental Science Teacher and has taught and lectured on environmental issues at NJ Colleges and Universities for the last 35 years. Currently, he is a Commissioner on the Ewing Township Redevelopment Agency and is a member of Ewing’s Environmental Commission & Sustainable Green Team.